Last weekend I was at a Food Blogging Conference in Salt Lake City, UT – me and about 349 other food bloggers from around the world gathered to learn and eat, share experiences and eat, make new friends and eat – well I’m pretty sure by now you’ve got the picture, right?!!! There was so much food (not complaining!) 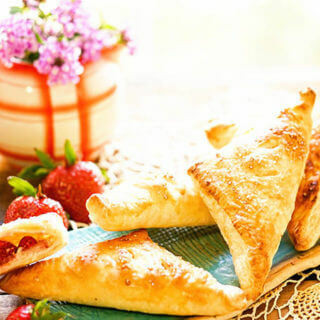 of every type that you could imagine and between each meal, snacks too! Pretty sure I could sew my mouth shut for a week or two. So going meatfree today….yes, absolutely! 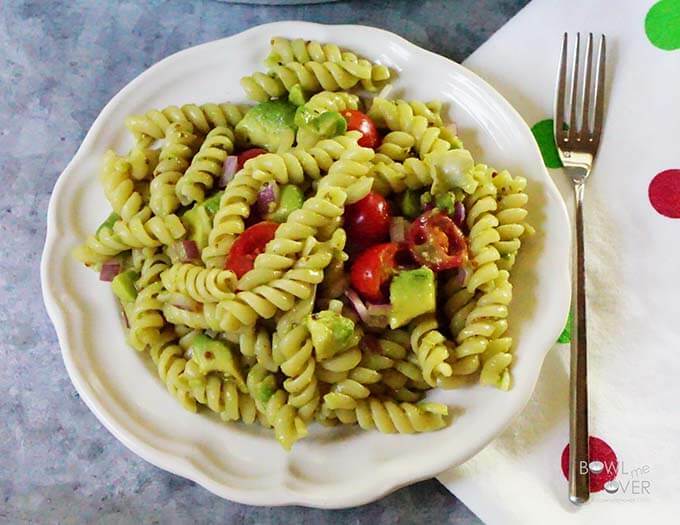 My Artichoke Avocado Pasta Salad is a yummy dish and I wanted to share it today for a couple of reasons – one…meatfree for #MeatlessMonday and two…. because it’s a great choice for the upcoming Memorial Day weekend! 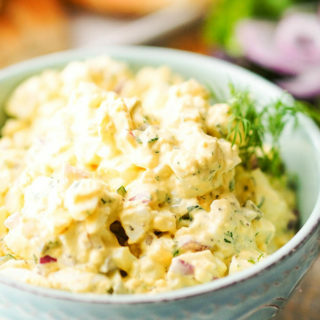 If you’re going to a picnic or bbq this is a perfect salad to bring with. It doesn’t contain any mayonaise (perfect for a hot summer day!) 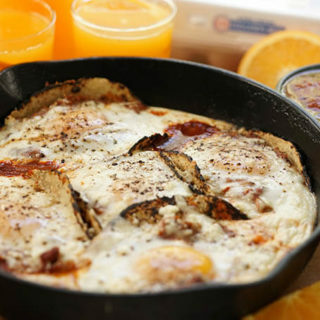 and it is so delicious and flavorful I know you’ll really enjoy it! The big key when you’re making pasta salads is to cook the pasta to al dente’ (don’t let it over cook and get mushy!) and allow the pasta to completely cool before adding any dressing! Why cool? Because hot pasta absorbs a lot more dressing. It just sops it up like a sponge and it doesn’t distribute well thru-out the whole dish – just something to keep in mind! We eat limited pasta because of all the carbs and when we do, I use low carb or veggie pastas. 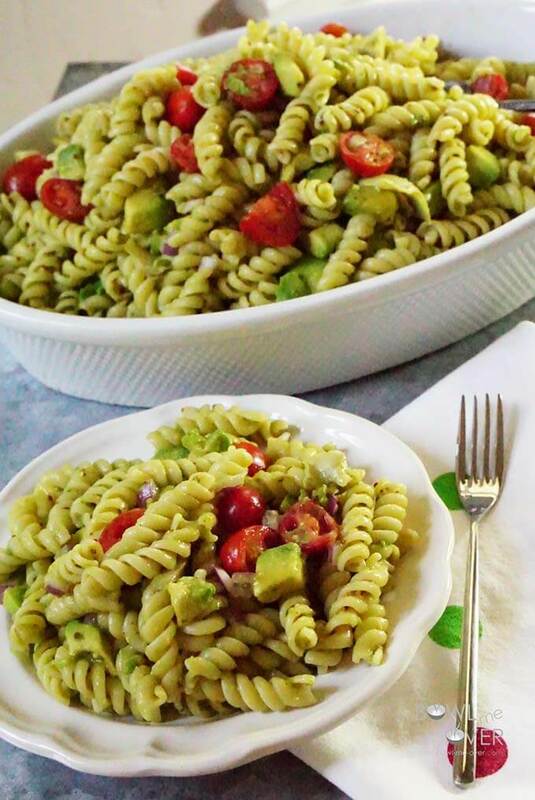 I think they are quite delicious and since this salad is full of avocados, artichokes and sweet tomatoes it delivers on flavor big time and of course it is souper easy! Just cook the pasta and allow it to cool completely. Then chop the veggies, mix the dressing and combine all of the ingredients. This is delicious cold, but I prefer to enjoy it at room temperature. I’m going to share more about the conference in the next couple of weeks, but in the meantime – make and enjoy this salad and please come back and comment – let me know what you think! 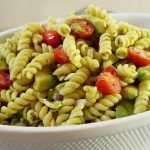 Artichoke Avocado Pasta Salad - this salad is full of avocados, artichokes and sweet tomatoes it delivers on flavor big time and of course it is souper easy! Cook the pasta according to package directions to al dente. Drain well and allow to cool completely. Combine all of the dressing ingredients, including the juice from half a lemon. Set aside. 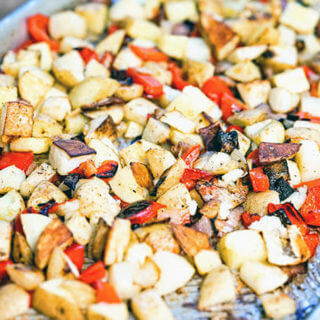 Chop the veggies - drain the artichokes and chop reserving a 1/4 cup of the juice for the dressing. After chopping the avocado, squeeze the lemon over the avocados, this will prevent them from turning brown. Combine the chopped vegetables and the pasta, add about half of the dressing and mix together well. Reserve the remaining dressing and add it to the salad directly before servings. 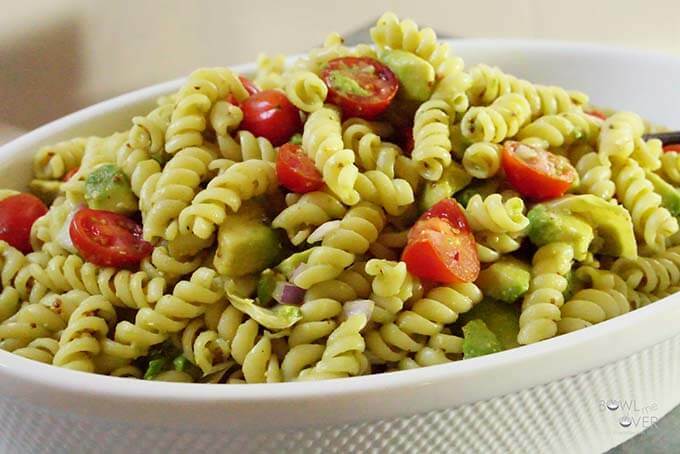 This salad is best when served immediately, but the pasta and all of the vegetables (except the avocados) can be chopped ahead of time, just wait until you're ready to serve before adding the dressing to the salad. Making it for dinner. Looks yummy. Awesome, enjoy Michelle & let me know what you think! What a beautiful pasta salad! Love that you added artichokes and avocado! 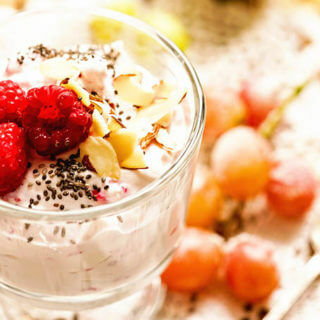 Beautiful, healthy and yummy! 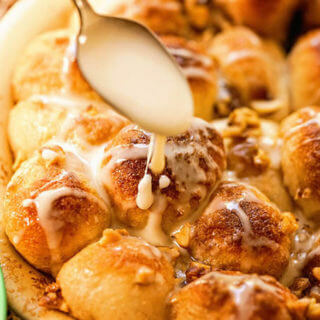 Thanks Angela for taking the time to stop by & pinning the recipe! I always enjoy your link party!! Hope you’re having a GREAT weekend!